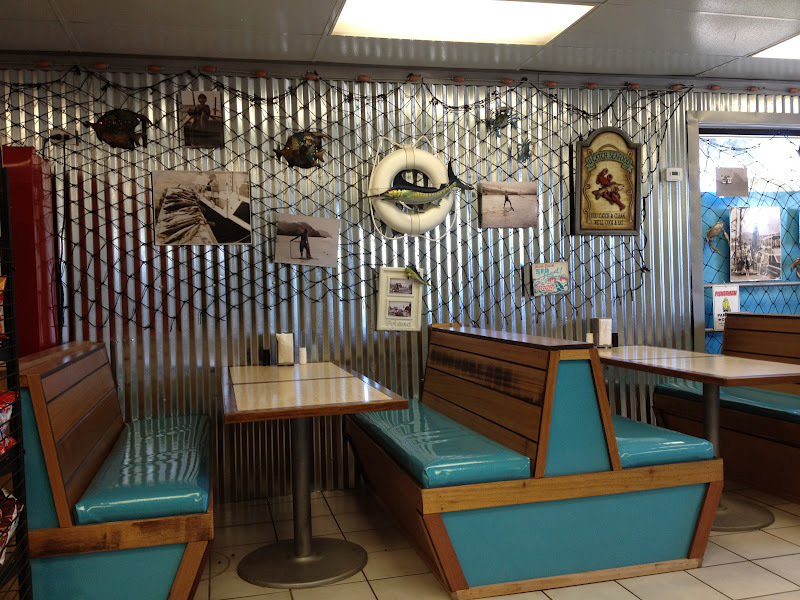 I love hole-in-the-wall restaurants. 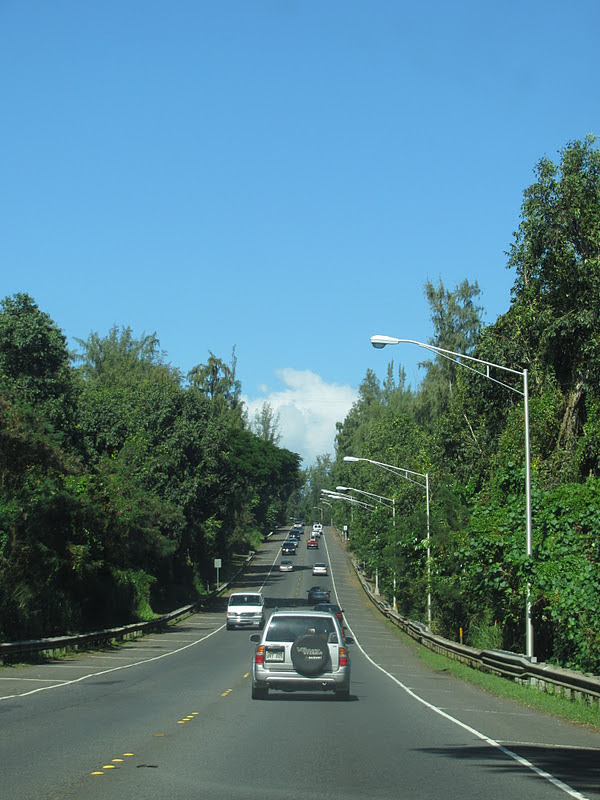 There are plenty of great ones in Hawaii, you just need to know where to go. 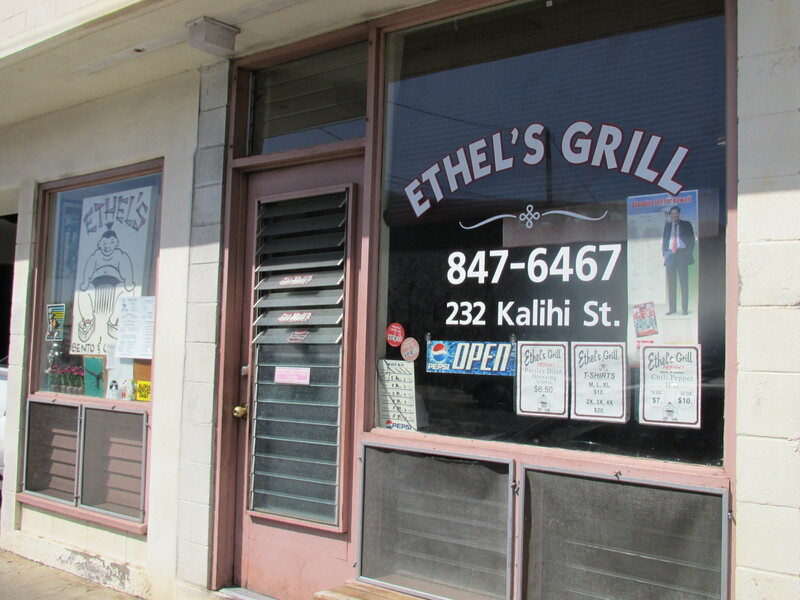 Ethel’s Grill is in an industrial area in Kalihi and you would probably drive by it unknowingly if you weren’t looking for it. They don’t have designated parking so we drove around and parked down the street. We made a point to go early (around 11:30 AM) to beat the lunch rush and I am sure glad we did. The dining room is tiny, maaaaybe it seats 20 people altogether. We grabbed the last two seats. The dining area is quite frankly, a mess. There were boxes stacked in random places that we had to weave between to get to our table. Their menu is hand written with markers on pieces of paper and inserted in binder sleeves and specials are taped up randomly on the wall all over the place. It doesn’t get more local and homey than this! We sat at a table next to these signs which I found amusing. I love how there is no option to buy a size S t-shirt but they go up to 2X, 3X and 4X! 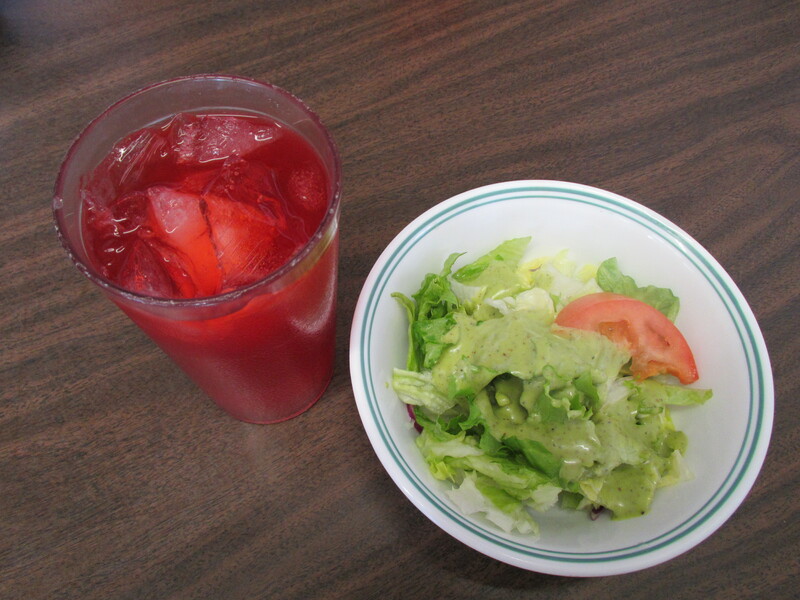 Each lunch order includes a side salad, rice, miso soup and a choice of fruit punch or iced tea. This was an amazing deal considering each lunch dish was only about seven or eight dollars. 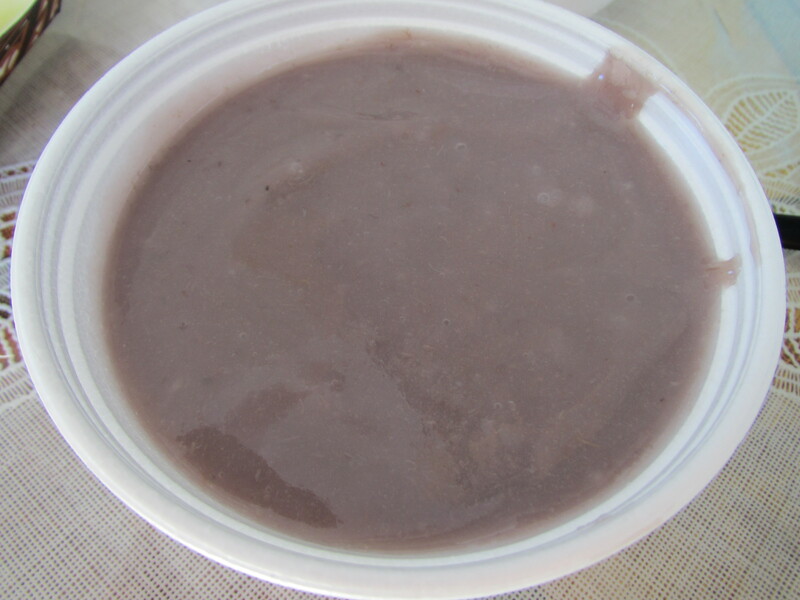 You also have the option to “sumo size” any meal for $2.50 although the regular potions are quite big already. 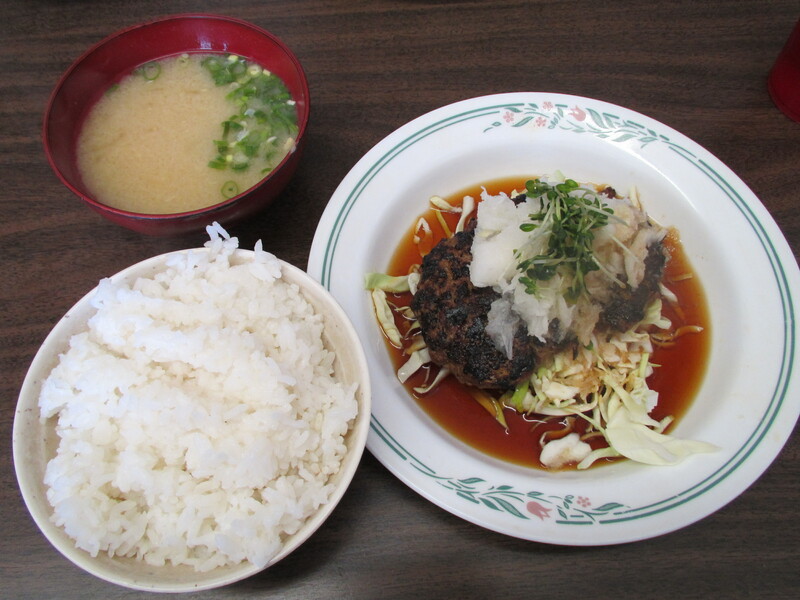 I ordered the Japanese hamburger steak. There are two types of hamburgers in Japan that differ based on the pronunciation of the word. One is a hamburger as we know it in America between two buns with ketchup and other fixings. 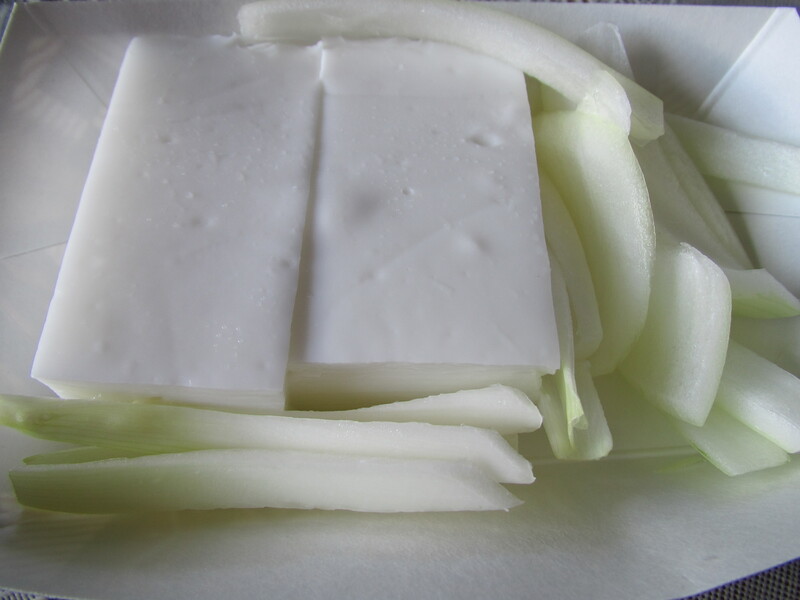 The other is served with rice on the side and usually grated daikon radish and a sauce on top. Every restaurant has their own version. This one had grated daikon and daikon sprouts with a ponzu sauce over it. 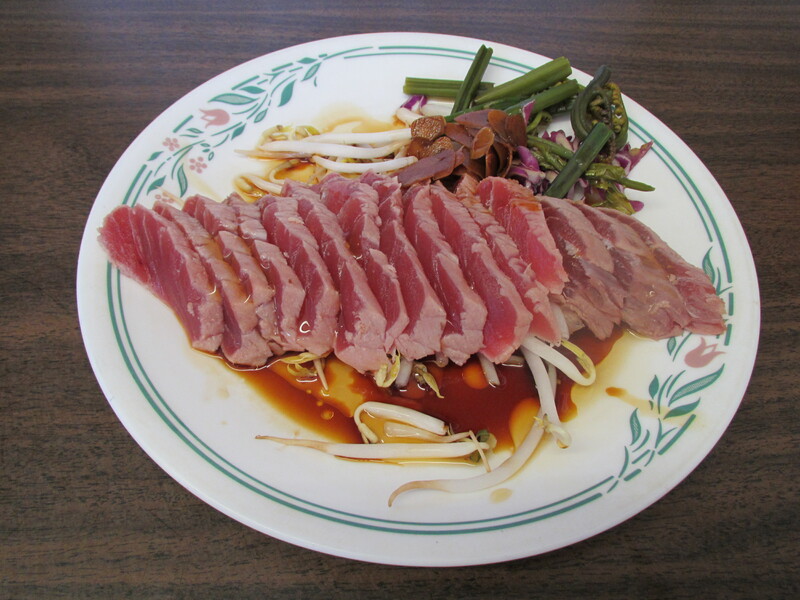 The ahi tataki sashimi is fresh tuna that is lightly seared and served on a bed of bean sprouts. It is drizzled with some sesame oil and some of Ethel’s garlic shoyu sauce. All for 5 bucks! It was a steal and TM and I shared this starter. Just about every single table in the restaurant had an order of it. 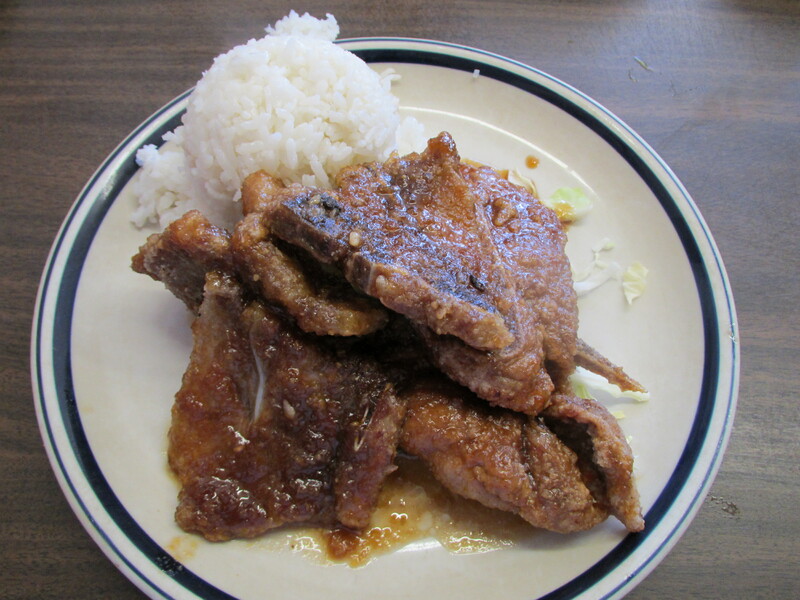 TM went with the deep fried pork chops that came smothered in a sweet garlic sauce. 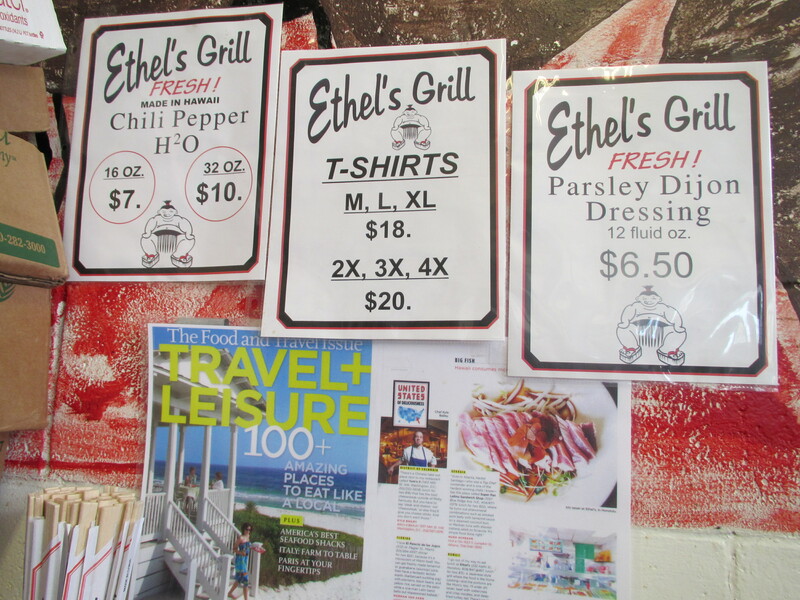 Ethel’s is a neat little find that I am glad we tried. Definitely go early if you can because there aren’t many tables and it looked like they filled up quickly. I know I’ve mentioned this before but TM was born and raised in Hawaii and does not like seafood. I’ll give you a second to process that because it doesn’t register for most people right away. TM does eat some sushi and shrimp now… there was a time in his life when he did not even consider eating any seafood at all. I am fortunate to have met him after the jump since sushi is one of my favorite foods. It would be a huge disappointment not to be able to go out for sushi together. 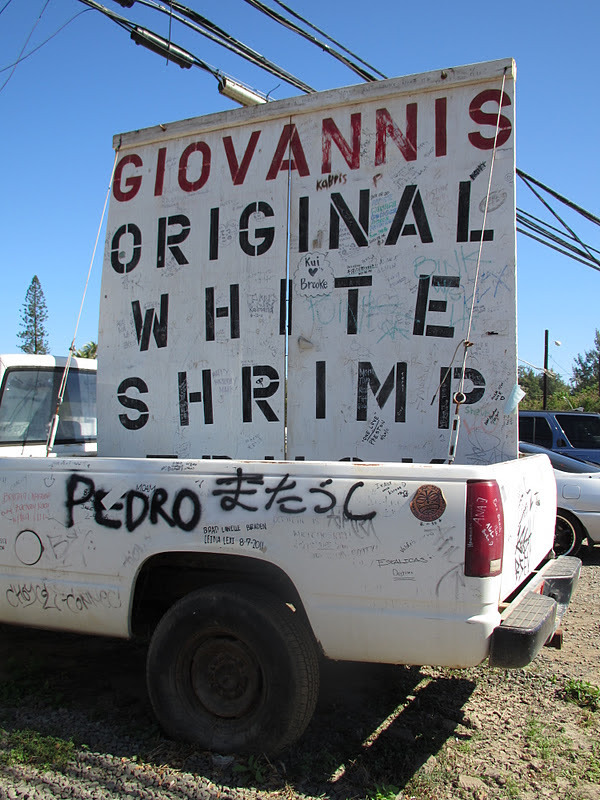 We decided to play tourist a little bit and make the drive out to Giovanni’s Shrimp Truck. 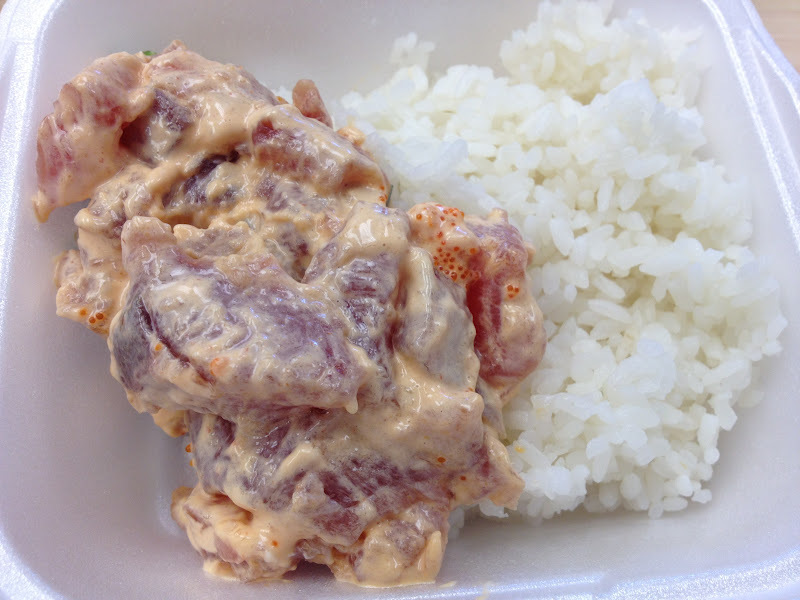 In all the times I’ve been to Hawaii, it’s never been a priority for me to eat from the shrimp truck. The drive there is not the most comfortable when you’re riding in a 5-speed with a full stomach from breakfast and no A/C. I felt like we had been driving forever but before we even saw this sign, I knew we were in the vicinity because you could smell the garlic from a mile away. 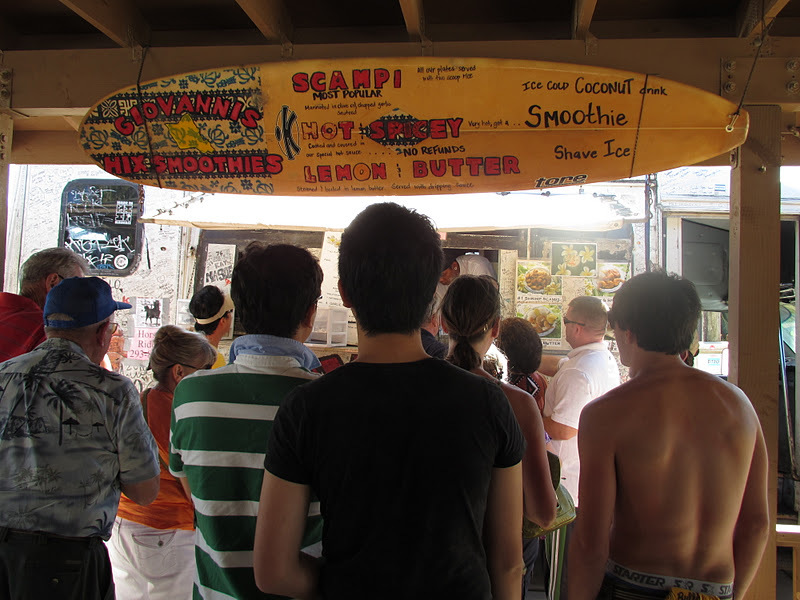 There were quite a few people in line for shrimp! TM and I had decided we would share a plate of the shrimp scampi since we had literally just finished eating breakfast an hour earlier. 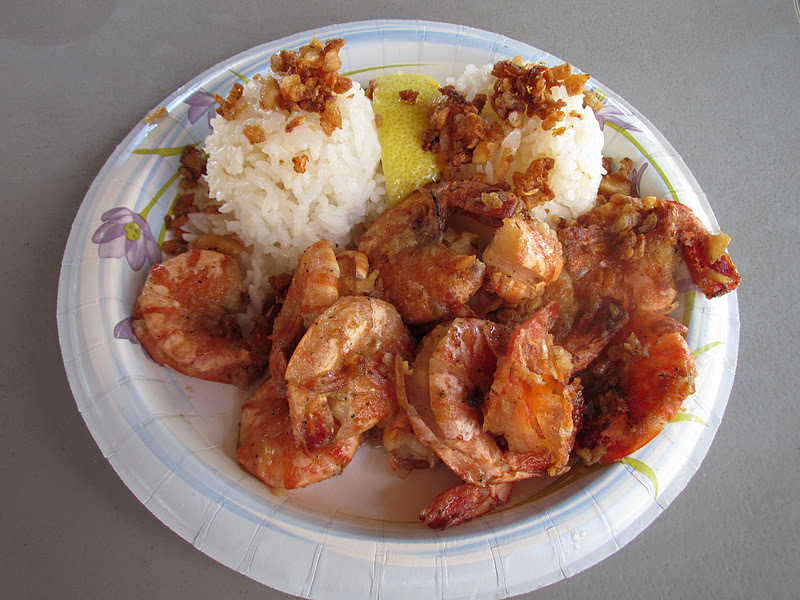 The shrimp scampi was full of butter and garlic with more of the sauce and crispy garlic chips drizzled over the rice. We got a full order which consisted of a dozen shrimp and two scoops of rice for $13. Not bad. 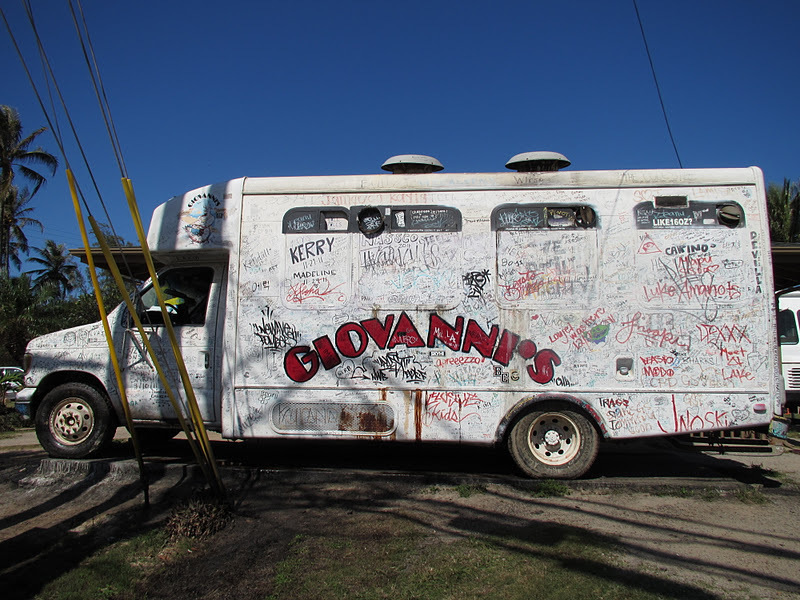 I’m glad we made the drive out to Giovanni’s that day. The food was good and the weather was pleasant. Now that we’ve gone once, I’m not sure that we’d go again. There are so many other places on the island that don’t take up as much time but if you’re already headed in that direction, it’s worth a visit. I used to spend the night at Elisa’s house in high school all the time. School nights, weekends, you name it, her house was practically my second home. Sometimes we’d be left to fend for ourselves for dinner if her parents were out of town. If Tita’s (her grandmother’s) home cooked Lebanese food wasn’t in the fridge, we would make Kraft mac n cheese or order a pizza from Michael’s Pizza. 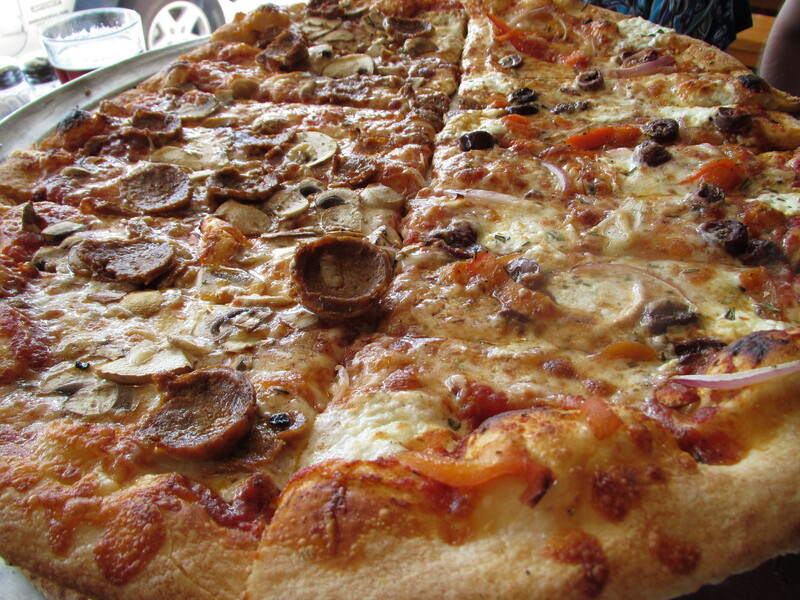 You can’t go wrong with pizza. Elisa had heard the Flatbread Company was good and suggested we try it for lunch. Everyone seems to know I have a weakness for pizza so of course, I obliged. 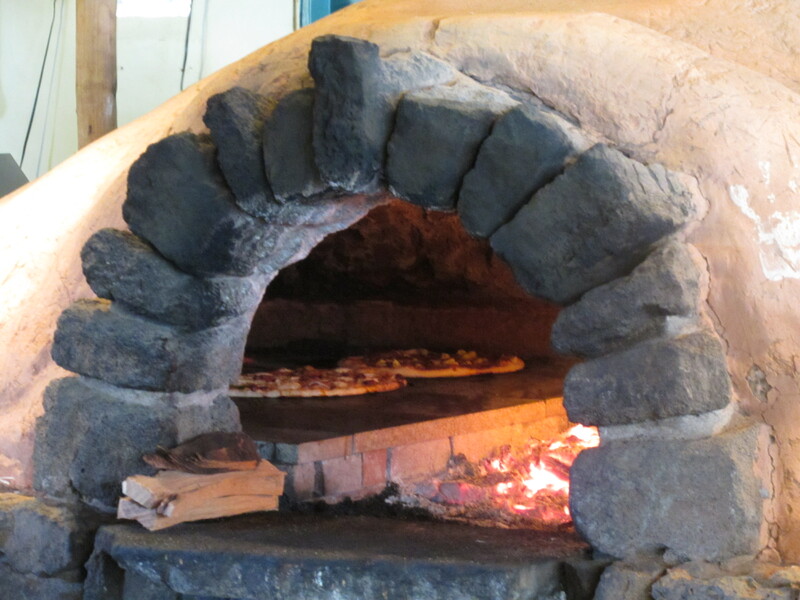 I loved looking into the wood fire to see if our pies were cooking. 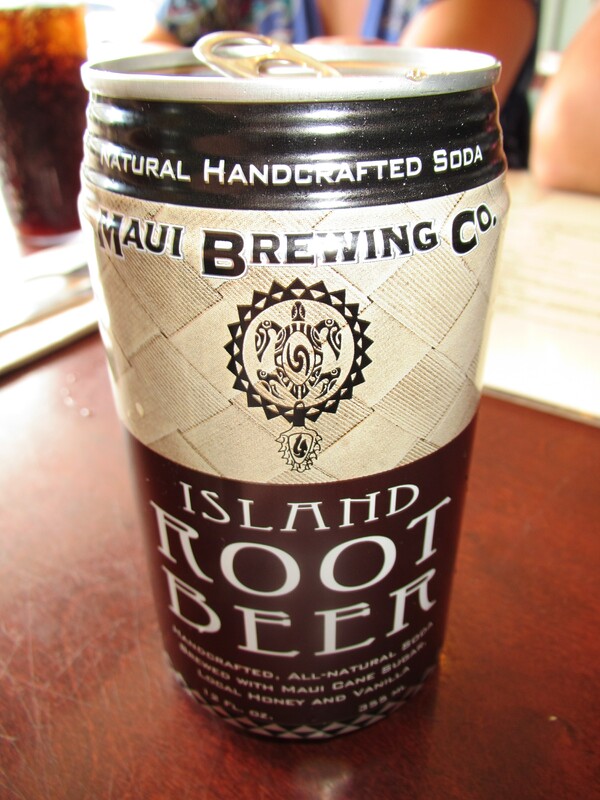 I decided to go with an Island Root Beer from the Maui Brewing Co. It was great! Elisa and I are suckers for good root beer. TM and I had actually ordered a salad to share but it never came out. The server felt bad for forgetting to put in our salad order and he brought out a brownie sundae with four spoons on the house. It came with coconut and vanilla ice cream. Even though we were full from our meal, we made room to fit in dessert. We devoured it and left the plate clean. 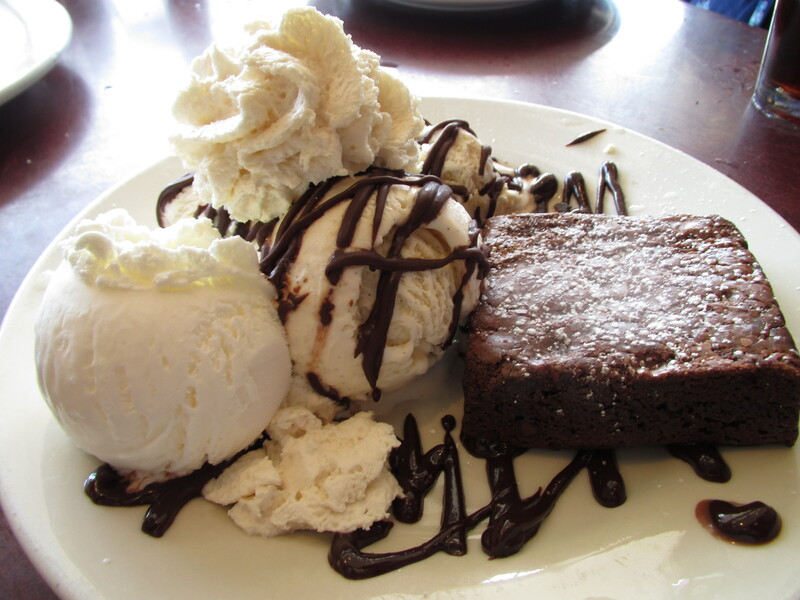 Matt was the only one who didn’t try the brownie sundae because he doesn’t care for sweets. 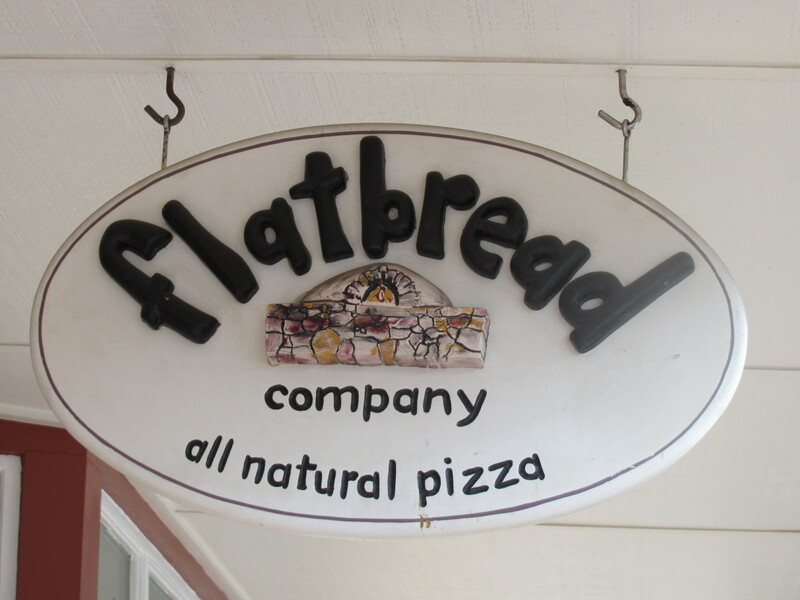 I’m not sure if Elisa knew this, but Flatbread Company has multiple locations throughout the U.S. One of the locations is in Portland, OR where she lives. Next time, she doesn’t need to travel a couple thousand miles across an ocean to get pizza from the Flatbread Company. Right after TM and I started dating, I went to Hawaii with my parents for my cousin’s wedding. 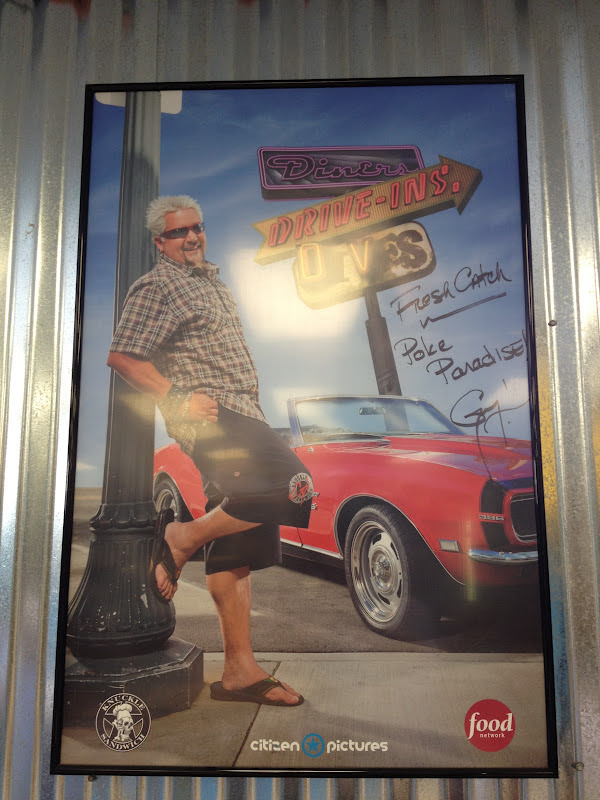 I told TM all of the places I wanted to eat at, Zippy’s being one of them. “ZIPPY’S?!? Why in the world would you want to go to Zippy’s?! ?,” he asked. Fast forward about five years and TM now agrees with me that it needs to be a stop when we are back on the islands. It is a chain restaurant but it is a Hawaiian chain so it doesn’t break my rule. Zippy’s is the Denny’s of Oahu. Most are open 24 hours so it’s a great late night spot after bars and clubs close. An ever so popular menu item at Zippy’s is the Zip Pac. 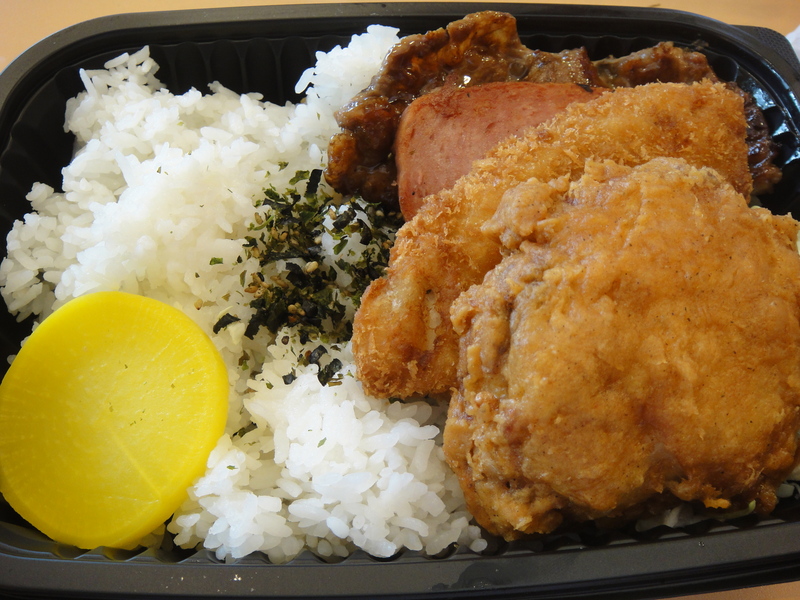 It comes with fried chicken, teriyaki beef, a fish filet and spam over norifurikake rice. 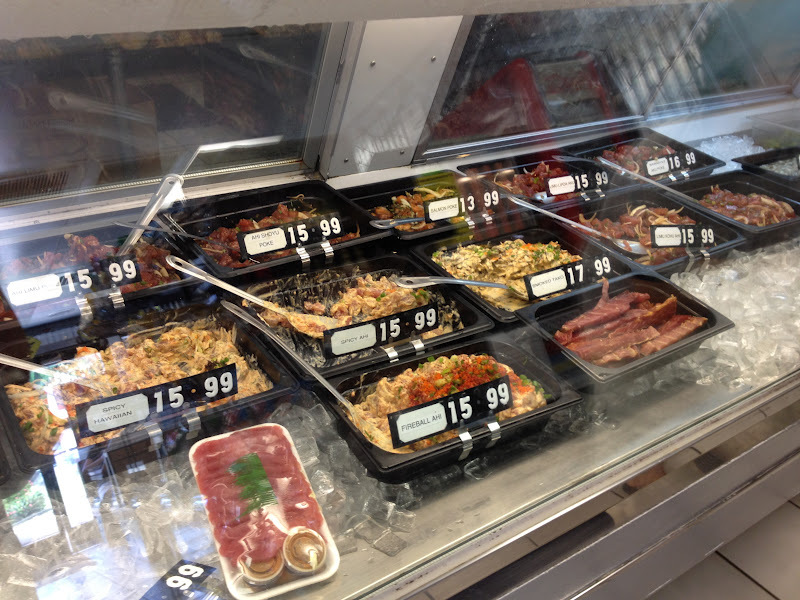 It has a great variety of food for a very reasonable price. When I first went to Zippy’s it was about five bucks. Now it is over $8! TM and his Dad both ordered a Zip Pac. TM’s Mom got the burrito with Zippy’s chili. It’s actually a deep fried bean and meat burrito (chimichanga) with chili over it and topped with cheddar cheese. 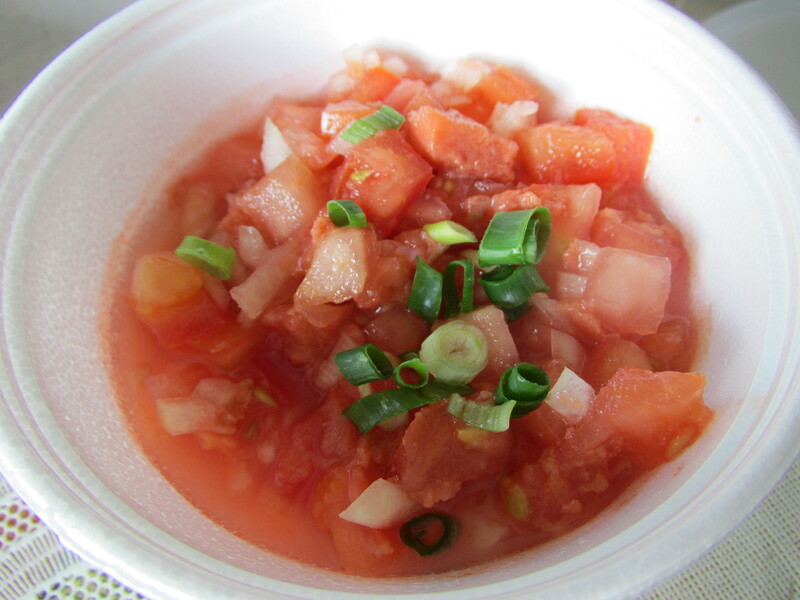 You can order it like this or as part of a plate that comes with rice and macaroni salad. 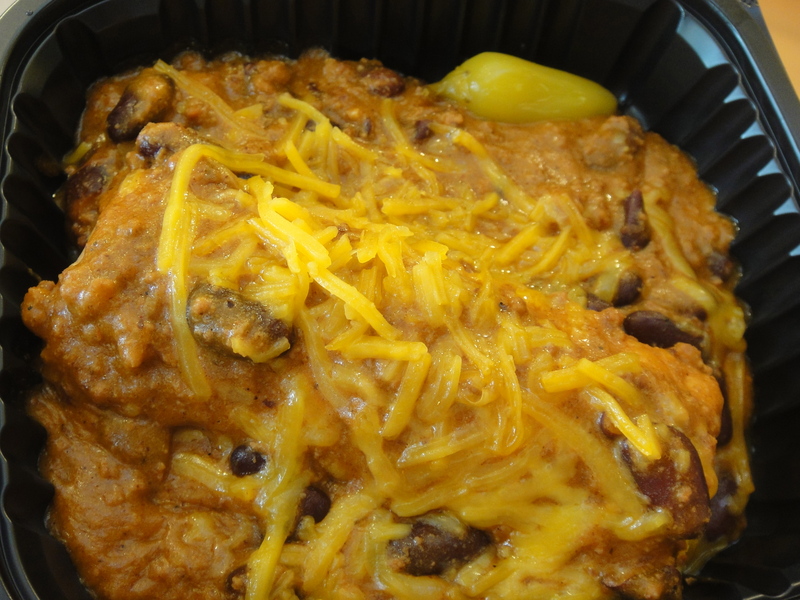 Since we had eaten a filling McDonald’s breakfast earlier that day, I ordered a small beanless chili over rice. 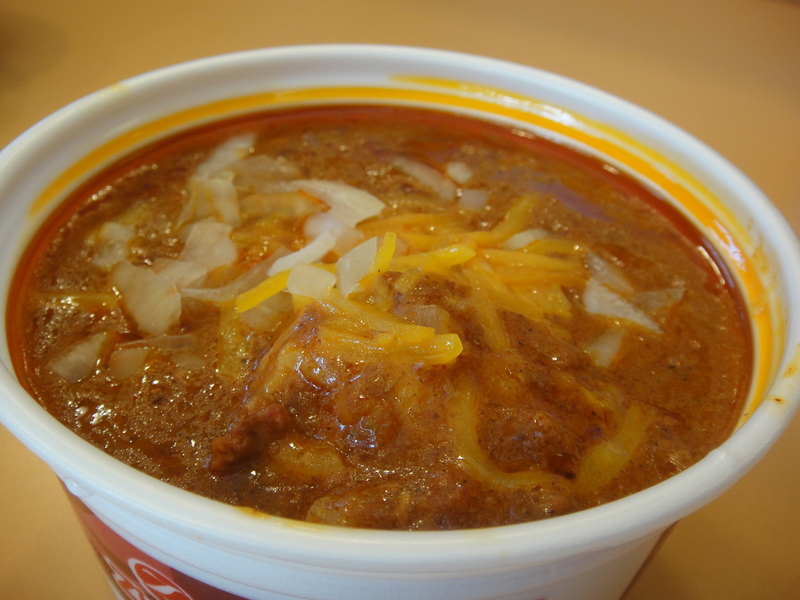 I never grew up eating chili at home so one of the first times I had it was at Zippy’s on one of my many trips to the islands. Now I cannot eat chili unless I have rice to go with it! I love that Zippy’s offers a beanless version for bean haters like me. It’s seasoned great but I did feel that it was more oily than usual this time around. It was topped with cheddar cheese and onions. We did make it back to Zippy’s with some friends one other time during this trip after a night of karaoke. I was so full from our dinner that I just ordered an Orange Bang. TM ordered a Korean fried chicken plate. The small fried pieces of chicken were dipped in a spicy shoyu sauce and topped with green onions. In a weird way, Zippy’s is comfort food to me. It is quick, convenient and good! I tend to get obsessed with things I like. 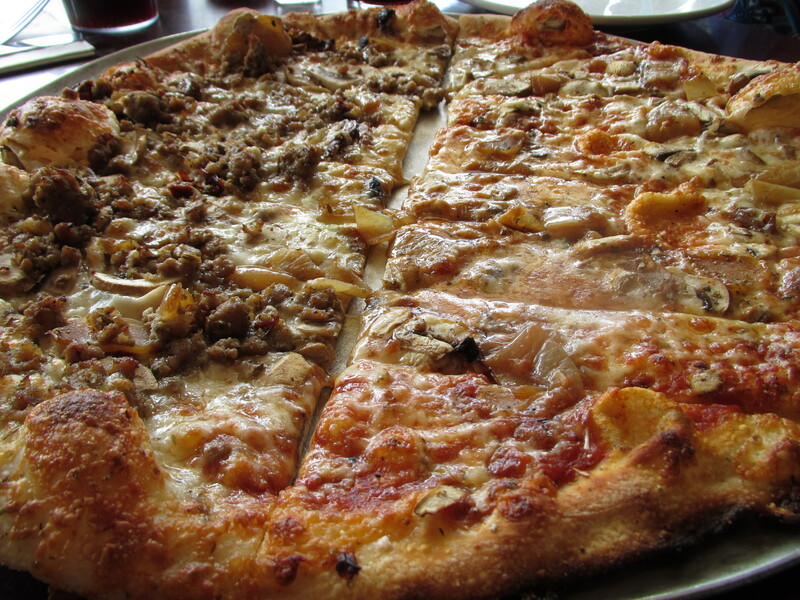 Case in point: my pizza cravings. And my pizza obsession. 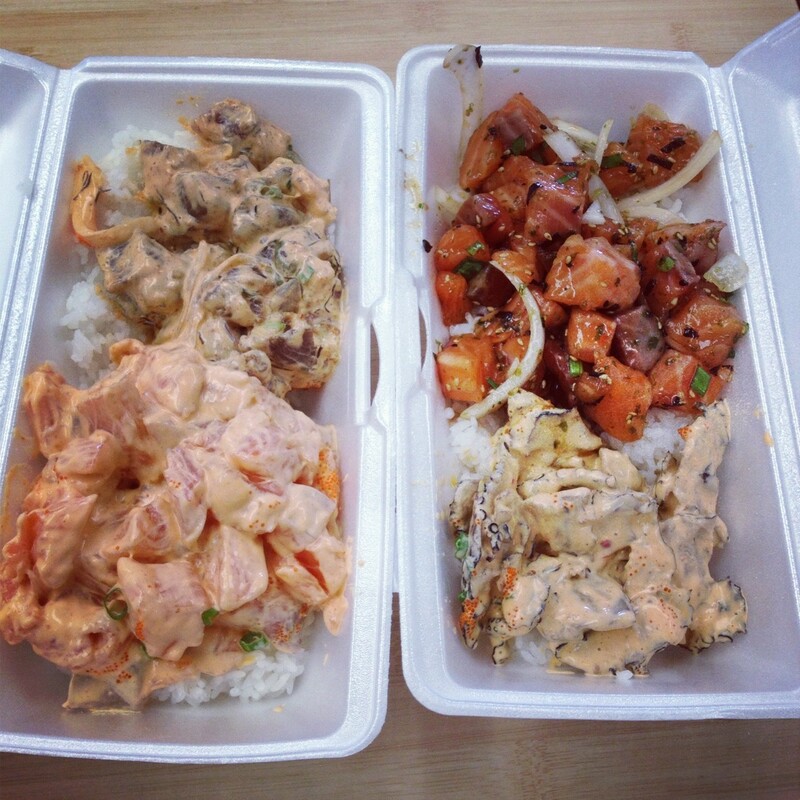 Sometimes I can’t stop thinking about a particular food and want need to have it all the time. Luckily, my latest obsession was something a little healthier than pizza. We spent 8 days in the Caribbean this month celebrating our one year wedding anniversary. I can hardly believe a year has passed. 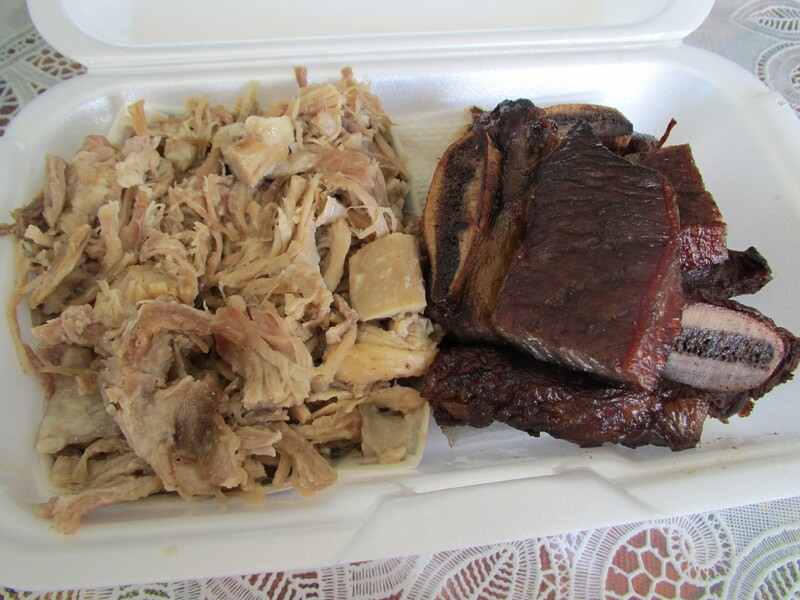 I don’t think I ever documented our wedding food on this blog. <insert sad face here> Time sure flies! So back to the mangoes. We stayed at one of those luxury, all inclusive, adults only resorts in the Dominican Republic. It was so luxurious that we didn’t even bother leaving the resort. There were 8 restaurants, 10 bars and 24 hour free room service so TM was in heaven! We literally ate everything under the sun (including multiple packages of Oreos left in our room daily by the free mini bar.) We found out we really enjoyed the breakfast buffet and lunch buffet at one of the restaurants on the resort. I’ve mentioned before that I’m not much of a breakfast person so TM loaded up on the omelettes, pancakes, bacon, etc. while I loaded up on boiled egg whites and the fruit bar. On any given breakfast and lunch, my plate usually looked like this. 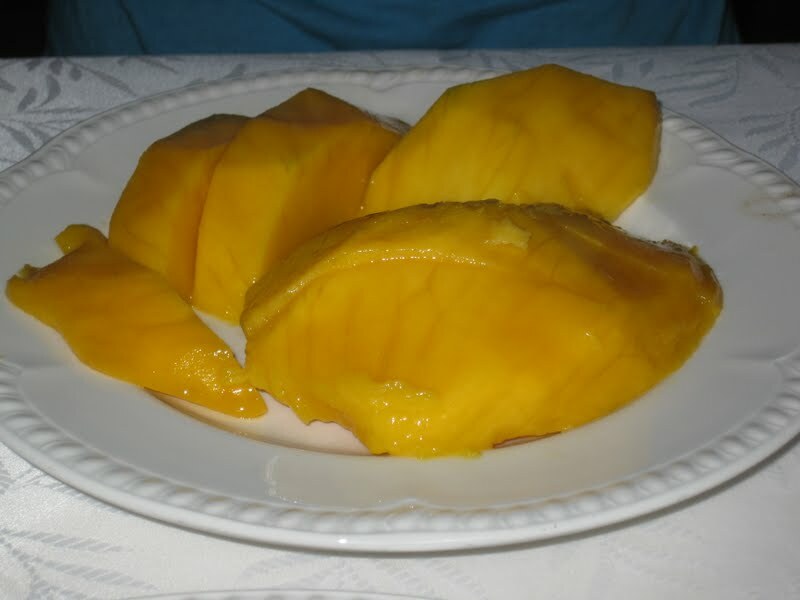 I’d eat at least two plates of mangoes. They were so sweet and ripe, I got quite hooked. So I asked another server if I could have a mango and they brought out this beauty for me. But it wasn’t enough. 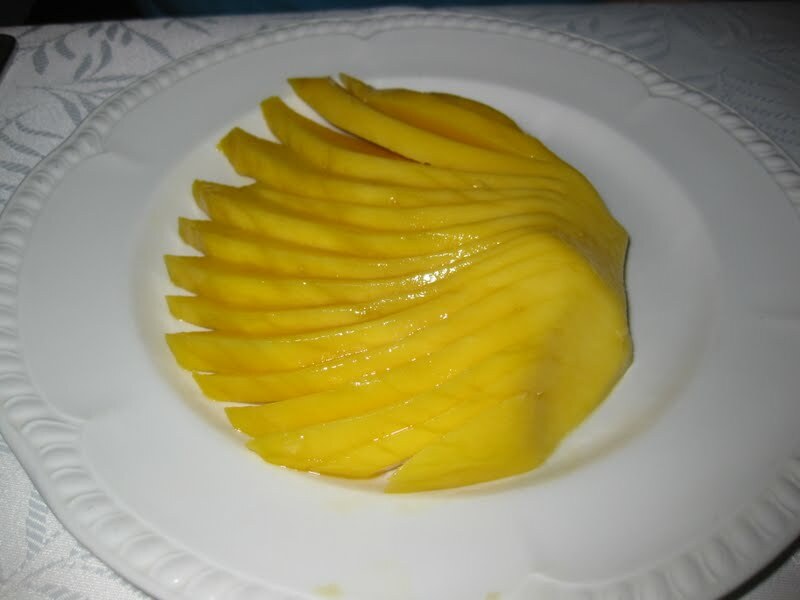 So I had to ask another server if I could have a lot of mangoes cut up for me. Score! 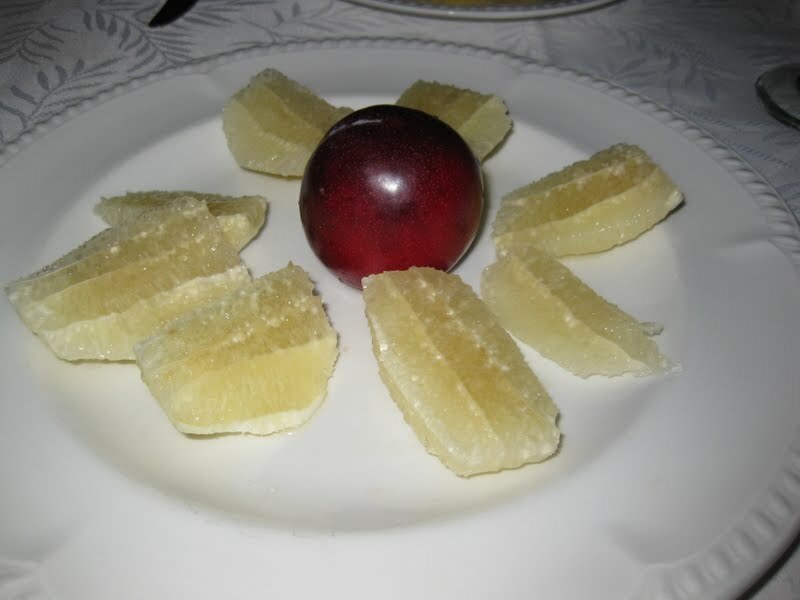 I wonder when I’ll get to eat them again. 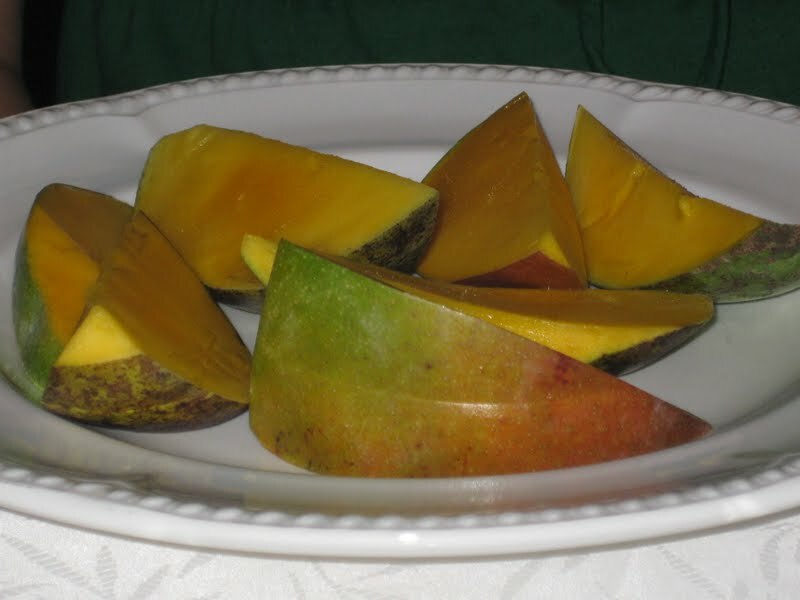 I’d imagine they don’t taste as good on the mainland and will be quite a let down after all of the mango I ate in the Caribbean.